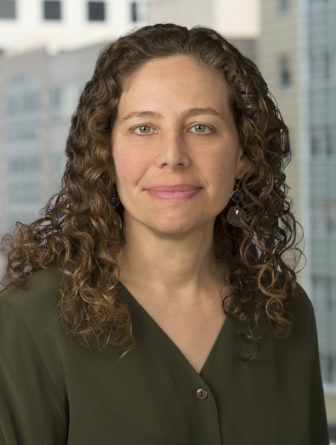 Laurie Rubenstein is a trial and appellate litigator and is experienced in congressional investigations. Before joining Robbins Russell, Laurie spent most of the past two decades lawyering in the U.S. Senate, on the Homeland Security and Governmental Affairs Committee. During her 8-year tenure as the Committee’s Chief Democratic Counsel, she supervised the Democratic staff’s involvement in Committee investigations, including its extensive and bipartisan investigation into the government’s response to Hurricane Katrina. Her investigative work in the Senate included interviewing and deposing numerous witnesses from both government agencies and the private sector and obtaining and compelling the production of documents and testimony. She was also involved in the development, enactment, and oversight of many of the Committee’s major pieces of legislation during that period, including the Homeland Security Act. She served as Senator Lieberman’s principal staffer on the Senate Impeachment Proceedings in 1999 and his lead staffer on the (then-titled) Governmental Affairs Committee’s year-long investigation into campaign finance abuses during the 1996 federal election campaigns. Earlier in her career, Laurie spent four years litigating civil and criminal cases at Mayer, Brown and Platt, working in both the trial and appellate courts. She also served as a law clerk to the Honorable Kimba M. Wood on the Southern District of New York.